Two days after Barack Obama’s inauguration came the announcement of this year’s Oscar nominations, and … did Academy voters not get the memo from Washington? The one about making a sharp break with the past and boldly going forward? Perhaps they did, but they neglected to read it all the way through, since this year’s nominees seem to have one foot in the new world and the other firmly planted on very familiar ground. 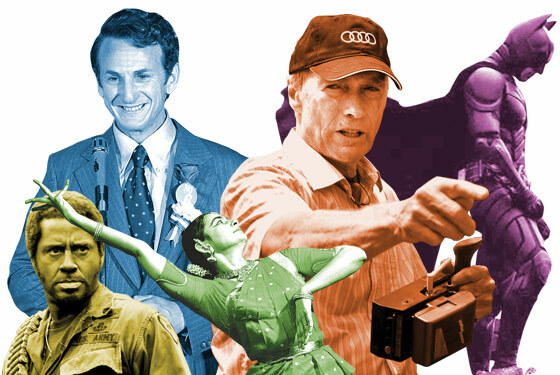 Change	More of the Same	Longtime Oscar favorites Clint Eastwood (a ten-time nominee) and Woody Allen (a 21-time nominee!) were shut out, despite a ridiculously pandering “Last chance—he might retire!” campaign for Clint, and the fact that Woody made a movie that people actually went to see. Longtime Oscar favorite theme—the Holocaust—proved it should never, ever be underestimated as a campaign asset: The Reader shook off mixed reviews and poor box-office to become the surprise Picture/Director/Screenplay/Actress nominee. Special Oscar-prognosticator credit goes to Kate Winslet for predicting she’d get this nod on Ricky Gervais’s Extras years before her role even existed! … except that “comic-book movie” still proved too big a hurdle to overcome, as The Dark Knight, despite eight nominations, couldn’t crack Picture or Director. Christopher Nolan, next time, have Alfred at least mention the Holocaust. You won’t be sorry. The often-maligned documentary branch did itself proud, honoring the widely beloved Man on Wire, jumping enthusiastically into the DIY/YouTube era with the superb Trouble the Water, and, nominating Encounters At the End of the World, thus giving the decades-overdue Werner Herzog his first Academy recognition ever. Can we talk about Best Song for a minute? The nominees are: That song you sort of heard while the closing credits rolled on Wall-E, that song from the out-of-context music video tagged on to the end of Slumdog Millionaire, and … that other song from Slumdog Millionaire. If this really represents the best of the best, maybe it’s time to kiss this category goodbye. And speaking of Slumdog …	With ten nominations, the Academy finally recognizes Bollywood film culture… … in a film made mostly by Brits (like director Danny Boyle). With Robert Downey Jr. scoring a nomination for being a white American actor playing a white Australian actor playing an African-American character, maybe it’s true—we’re finally living in post-racial America! Given that every single nominated producer, director, and writer is white, probably not.